We accept money orders, cashier's checks, personal checks, and credit cards for payment. 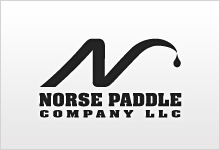 Norse Paddles are warranteed from defects related to workmanship and materials for up to one year from date of purchase. Full replacement or repair as determined at our factory. Return paddles to the factory address. Due to the nature of paddle use, broken paddles that show obvious signs of abuse will not be covered. Paddle sports can be dangerous. By purchasing a Norse paddle you asume all risk and liabililty while using a Norse paddle. Norse is not responsible for any injury or death that occurs while using a Norse paddle. Norse Paddle Company, LLC recommends that you always wear a PFD, know your paddling venue,weather forecast, river levels and seek out qualified instruction for learning to paddle safely.